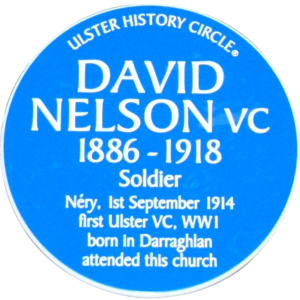 Founded in the early 1980s, the Ulster History Circle is the recognised authority for the identification and installation of commemorative plaques in public places in towns and villages all over the Province honour of men and women who have contributed to our culture, industry and history. 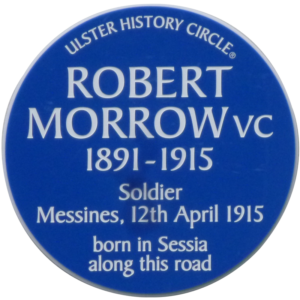 Over 200 plaques have been installed across nine counties. This is done with the full co-operation of those who own the building which each plaque is to be fitted to. The Ulster-Scots Agency has partnered with the Ulster History Circle over the past decade to bring recognition to important people. Prior to our partnership, four Ulster-born V.C. winners were already commemorated by Blue Plaques. Charles Davis Lucasof Poyntzpass was awarded the very first V.C. in 1857 following his bravery during the Crimean War. Sir George Whiteof Portstewart won his V.C. during the Battle of Charasia, India, in 1879 (plaque at Berne Avenue, Portstewart, Co. Londonderry). Edmund De Windof Comber was awarded the V.C. posthumously following ‘conspicuous bravery and self-sacrifice’ in France in 1918 (plaque at Bridge Street Link, Comber, Co. Down). 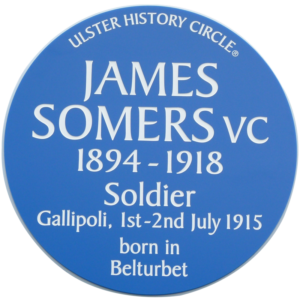 During the centenary period, further commemorative Blue Plaques are planned to honour Ulster-born VC heroes from the Great War.